I love this children's geometry book about ANGLES! In fact I love all the books in this series. The author, Cindy Neuschwander, is so clever! This book is great for upper elementary and middle school. I've used it as a Read-Aloud. The setting for this story is in England in olden times with medieval castles and knights. The names of the characters alone crack me up! In the story Radius is sent out on a quest and has to find his way through a maze of angles. He is given a medallion, an old family heirloom (actually a protractor) by his parents to give him courage. 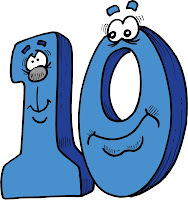 No one knows what the numbers stand for. Of course Radius, the hero of the story, solves the puzzle and teaches us about circles and angles. 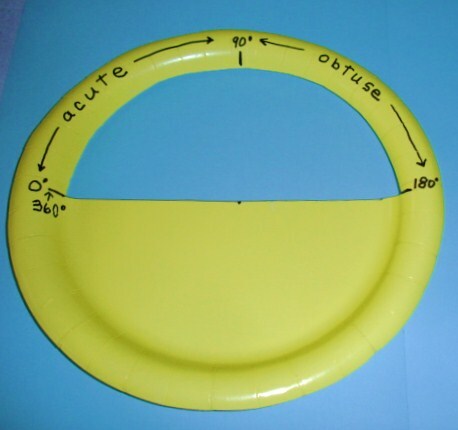 Another craft would be to use a paper plate to duplicate the picture on page 30 in the book to learn about or reinforce acute, right, and obtuse angles. This book is such a great math adventure and the paper plate medallion (protractor) actually works! 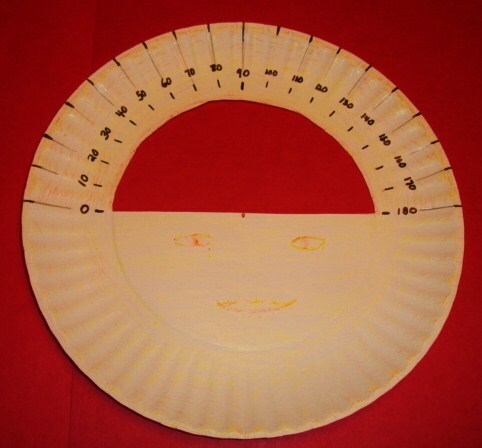 The kids can have fun measuring angles! Learning about ANGLES can be fun. There are lots in inexpensive materials that students can use to practice creating the different types of angles. 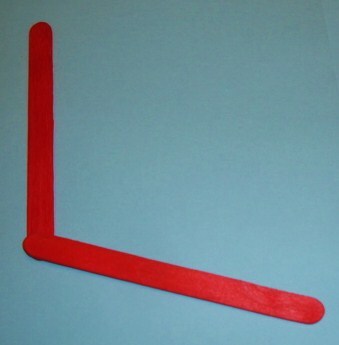 RIGHT - Exactly 90 degrees - can look like an "L"
Other materials that can be used are pencils, toothpicks, carrot sticks, celery sticks, etc. What other materials have you used or would you suggest? Thanks for visiting! Have fun with angles. Everything You Ever Wanted to Know About Angles! ............. but were Afraid to Ask!!!!! An angle is formed when 2 rays come together at a common endpoint (vertex). 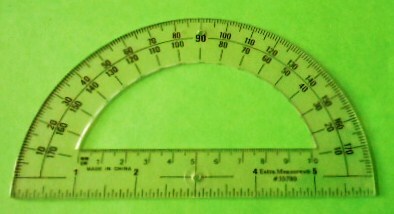 A protractor is a tool used to measure angles. 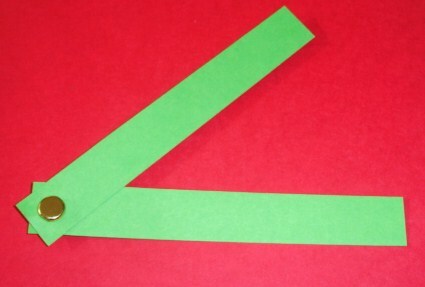 Here are some great resources to help students learn about ANGLES. BrainPop has a wonderful video for kids on ANGLES. 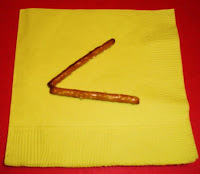 After viewing the video, kids could try the quiz, word find, Q & A, or experiment to reinforce math concepts about angles. Click on the link below. The Scholastic Study Jams website has some great slide shows that teach students how to measure, classify, and construct angles with a protractor, plus they can learn a cool song about "Tools Of Measurement", and then students can take quizes to test themselves on angles. Click on the links below. Here's a short video from the Gamequarium website on angles. Click on the link below. There are lots of good math books for students to learn more about geometry. 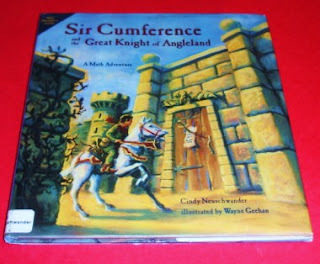 Here is a wonderful book about angles. It really is a MATH ADVENTURE! 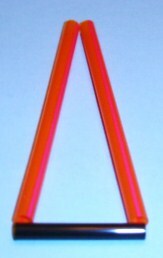 Triangles are 2D shapes with 3 sides and 3 angles. 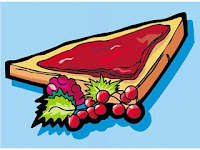 The kids may like to view this video about the different types of triangles. The song about triangles is clever and catchy! Another video for kids to view is by Scholastic Study Jams. 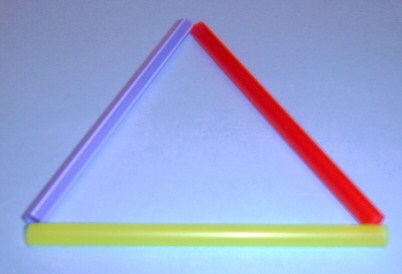 Here is a 3rd video about triangles. 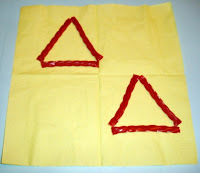 After watching the videos students could use manipulatives to create the different types of triangles. They could use straws, craft sticks, popsicle sticks, pipe cleaners, etc. They could also use food items: pretzels, celery sticks, licorice, etc. 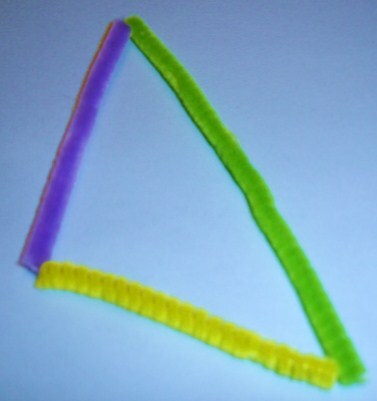 Students could sketch and label a picture of each type of triangle in their math notebook. Students could also observe their environment and look for the different types of triangles. How many can they find? Which type is the most common? Which is least common? They could tally and/or graph their data. Students could also create a poster, book, or slide show about triangles. Thanks for visiting. Have fun with triangles. Geometry - What is a Dodecagon? A DODECAGON has 12 sides and 12 angles! WOW! Here are some links to help the students learn more about dodecagons. 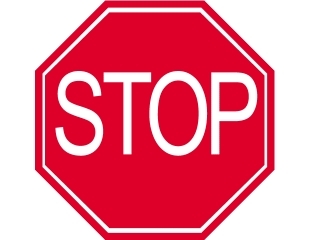 * Each interior angle of a regular dodecagon measures 150 degrees. Students could find the sum of all the interior angles in a dodecagon. * Here are printables of dodecagon tessellations (and other polygon templates plus dot paper and grid paper templates) that students might enjoy. Click on the link below. Geometry - What is a Decagon? A decagon is a polygon with 10 sides and 10 angles. Students can learn more about decagons by clicking on the following links. Students could read and follow directions to make their own decagon by clicking on the link below. Students could calculate the sum of the interior angles of a decagon. Each angle in a regular decagon equals 144 degrees. Geometry- What is a Pentagon? A PENTAGON is a closed figure with 5 sides and 5 angles. The students might enjoy viewing the following videos about PENTAGONS. Click on the links below. 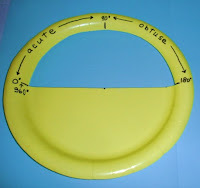 The students could sketch and label a regular and irregular pentagon in their science notebooks. 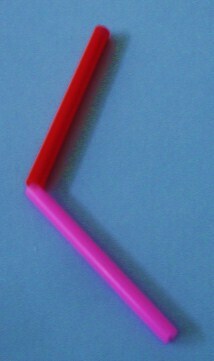 They could also look for pentagon shapes in their environment. Older students can measure the interior angles of a pentagon. The sum of the 5 interior angles of a pentagon equals 540 degrees. In a regular pentagon each angle measures 108 degrees. 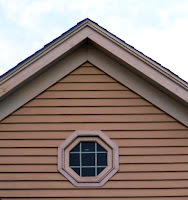 Geometry - What is an Octagon? Octagons are closed figures with 8 sides and 8 angles. Click on the links below to view some videos about octagons. 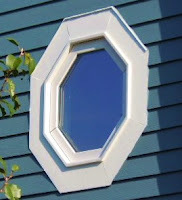 Younger students could do a cool craft activity with octagons. They could make a cute Octagon Person. Click here. 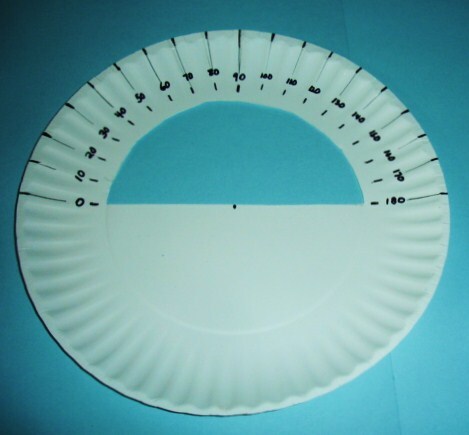 Older students could sketch and label a regular and irregular octagon in their math notebooks. and find the sum of all the interior angles. Thanks for stopping by. Have fun with octagons. Geometry - What is a Heptagon? A HEPTAGON is a polygon with 7 sides and 7 angles. Here is a quick video which shows a regular and irregular heptagon. Click on the link below. The sum of the angles of a heptagon is 900 degrees. Students could try to figure out the size of each angle in a regular heptagon. Labels: 2-D geometry, angles in a heptagon, closed figure with 7 sides, what is a heptagon? Hexagons are polygons with 6 sides. Have you ever noticed that the cells of a honeycomb are all hexagons? Amazing....isn't it! Here is a quick little video that shows a regular and irregular hexagon. 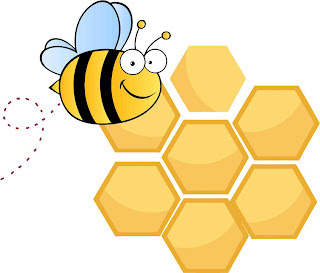 Here is a great video about the building of a honeycomb by bees. Here is an amazing craft activity made with hexagons. 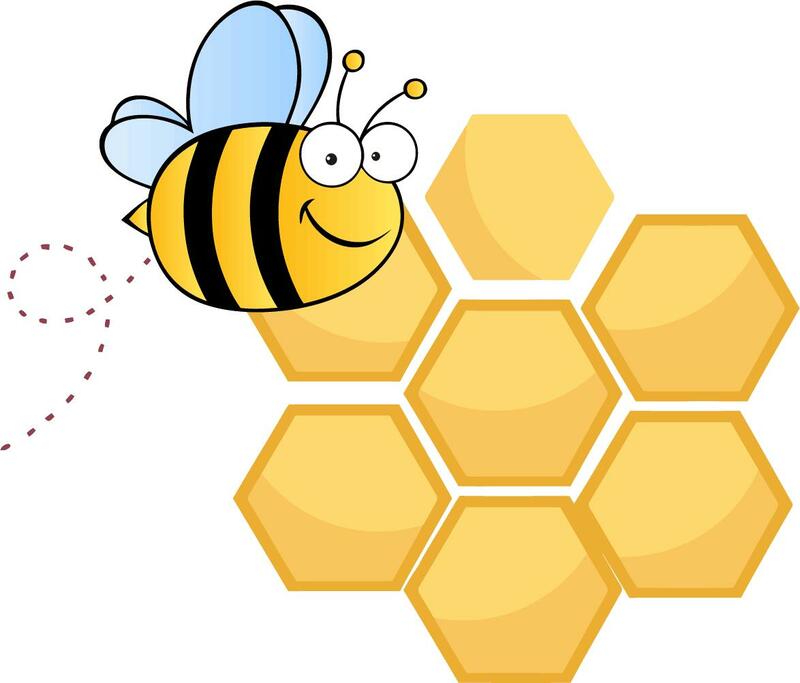 Click on the link below for this great lesson and activity with regular hexagons. Thanks for visiting! Have fun with hexagons. Labels: Geometry - What are Hexagons? Geometry - What is a Rhombus? A RHOMBUS is a 4 sided figure. It is a special type of parallelogram in which all 4 sides are equal and opposite angles are also equal. A rhombus is sometimes called a diamond! 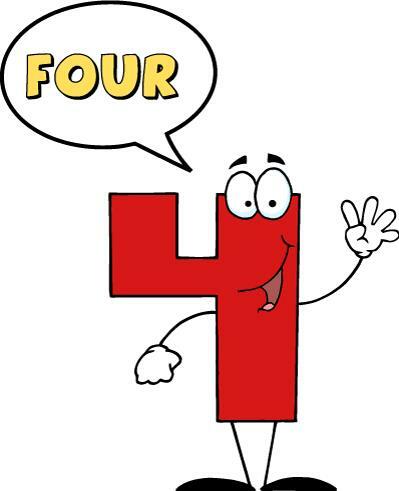 Every rhombus is a parallelogram and a rhombus with 4 right angles is a square. 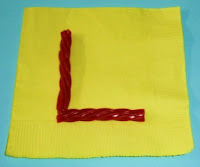 Here is a link to a cute, clever, and catchy little musical video for kids to view to help them remember this particular polygon. You might feel like you have traveled to a tropical island as you view and listen to this video. It certainly has an Island Flair! Here is another link to a video about the RHOMBUS! After viewing the video, students could sketch and label a rhombus or several rhombuses in their math notebooks. 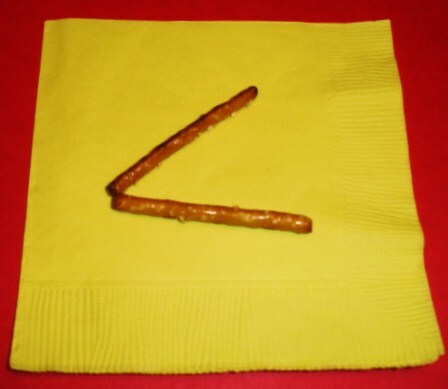 They could also look for rhombuses in their environment and even take some pictures. 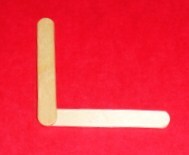 Parallelograms are 4 sided closed figures (quadrilaterals) that have opposite sides and angles equal and parallel. After watching the video, the kids could sketch and label pictures of the different parallelograms in their math notebooks. Students could also look for parallelograms in their environment. They could identify, tally, count, classify, list, sort, describe, compare, or sketch pictures of the parallelograms that they observe. 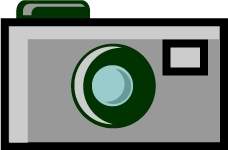 They could also take pictures of the parallelograms in their environment or look for pictures in old magazines and catalogs. They could use the pictures to create a poster, booklet, slide show, etc. Thanks for visiting. Have fun with parallelograms. Geometry - What are Quadrilaterals?